Turn your little girl's party into a royal ballroom fit for a princess with these Princess Sparkle Shine party supplies. 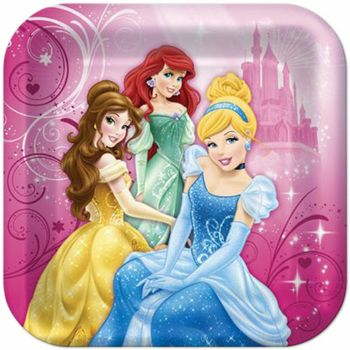 Everyone's favorite Disney Princesses are featured on our Disney Princess Tableware. Use solid color party Supplies to showcase your favorite princess: Ariel, Tiana, Aurora, Belle, Cinderella, or Rapunzel. These Disney Princess party supplies are perfect for your princess. She'll love the paper plates and other items for her birthday party or special occasion.